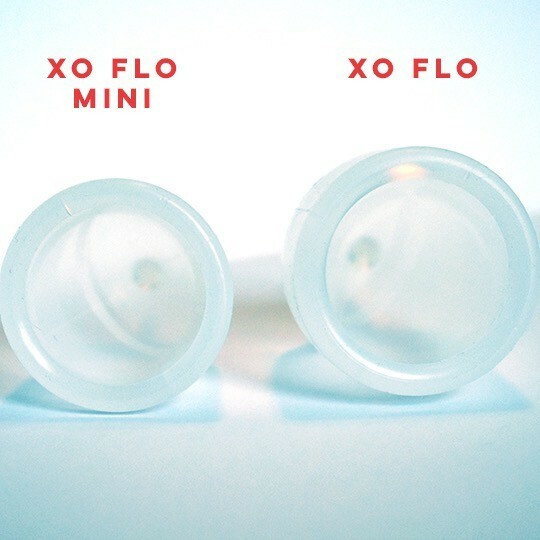 Say hello to XO Flo! 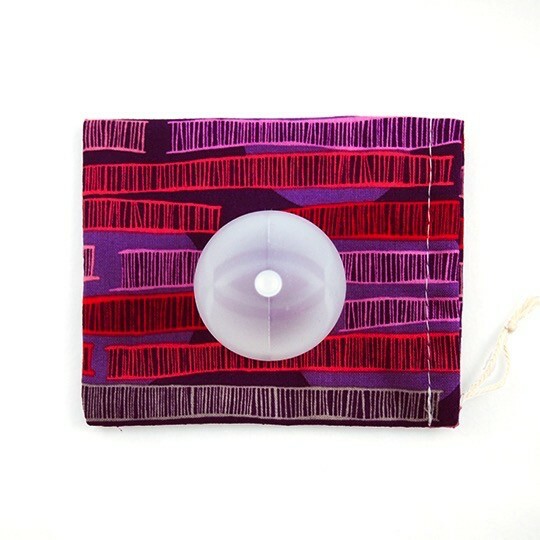 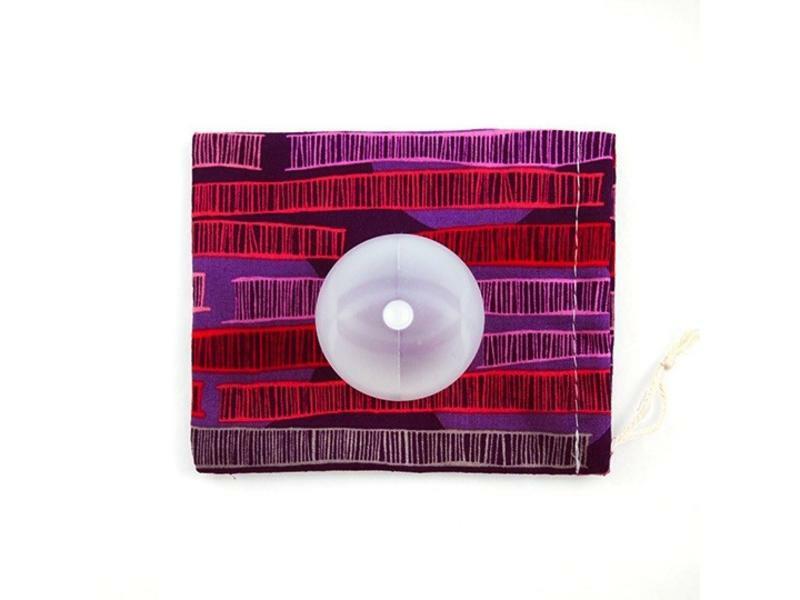 XO Flo is a soft, internally-worn reusable menstrual cup from local Portland company GladRags. 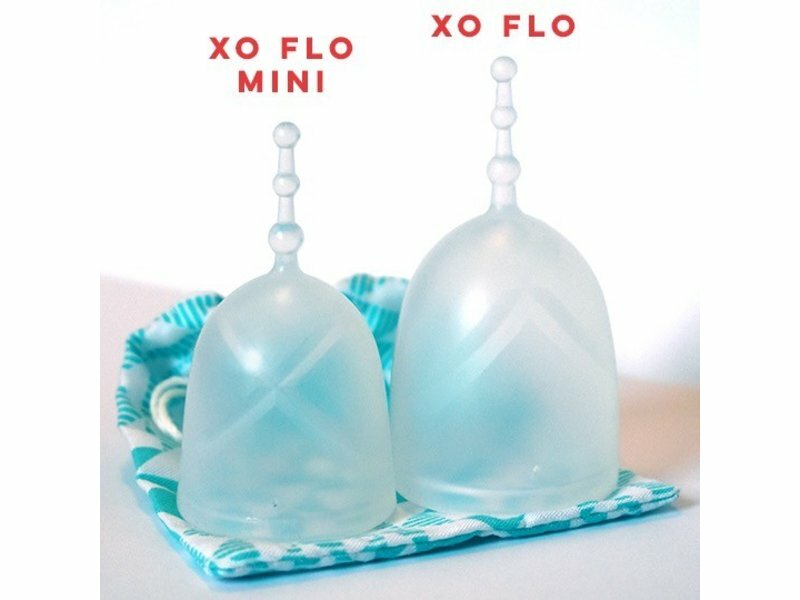 Made in the USA with smooth, flexible medical grade silicone, XO Flo collects (rather than absorbs) monthly menstrual flow. 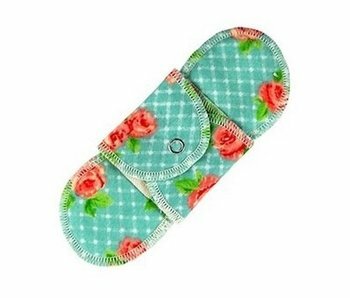 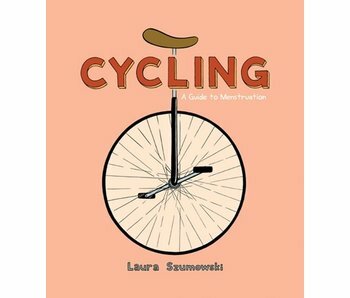 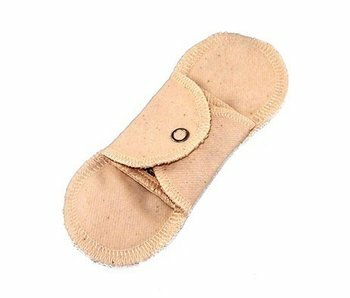 Unlike a tampon which must be changed more frequently, this cup may remain in the body for up to 12 hours at a time. With proper care and use, the XO Flo can last for years of period protection — making it better for your wallet, your body, and the environment. The cup portion of the XO Flo measures 2.2" long, 1.7" in diameter. 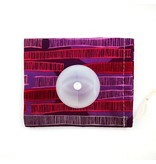 Entire length measures 3.4". 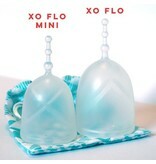 XO Flo's soft beaded stem is designed to be both trimmable and super comfortable when left untrimmed. Where other cups have a thick, uncomfortable rim, XO Flo's patent-pending inner support rings help pop XO Flo open once inserted — and ensure easy removal. 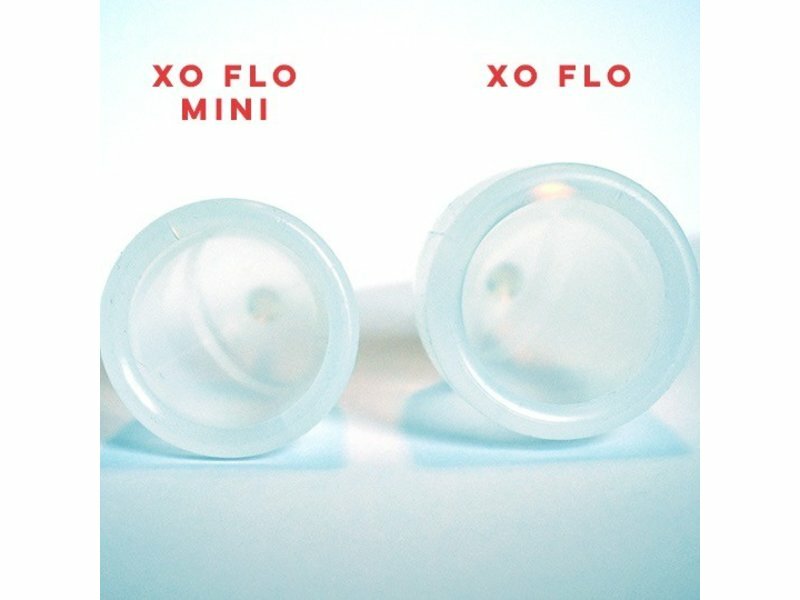 Should I get the original XO Flo or XO Flo Mini? 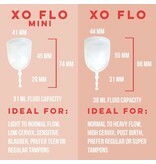 Generally those with lighter flow, low cervix, a sensitive bladder, or who haven't given vaginal birth will prefer XO Flo Mini. 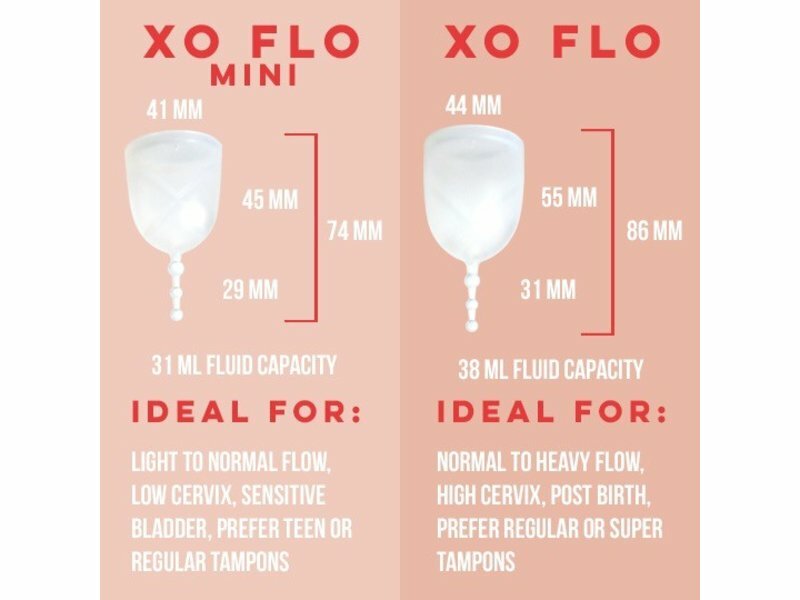 The original XO Flo is wider and longer and may be best suited for heavier flow, higher cervix, and those who have given vaginal birth. 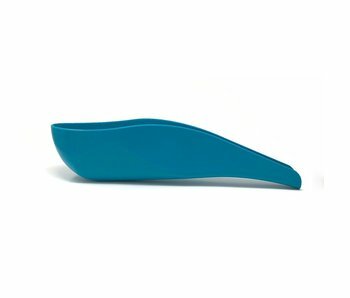 Above all, consider your previous cup experience and the measurements of each cup when deciding which size would be right for you.